The Yuasa range of alarm panel batteries are amongst our best sellers as they have a long history of excellence and reliability. 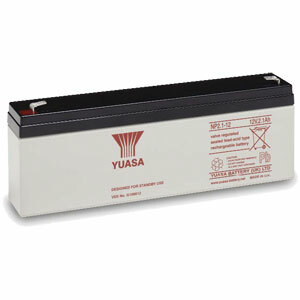 Yuasa NP Batteries utilise the latest advanced design of Oxygen Recombination Technology. Yuasa have over 80 years experience in the lead acid battery field to produce one of the optimum designs for Sealed Lead Acid batteries. The batteries can be used over a broad temperature range permitting considerable flexibility in system design and location.